Help! 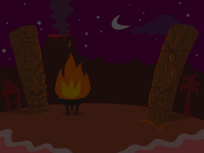 Tony's beach shop is in disarray. Can your child help him sort through his inventory? Beach balls, sunglasses, sun hats—everything needs to go in its place. 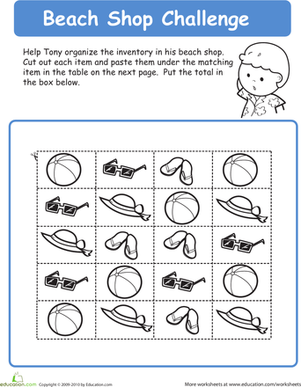 Your child will practice sorting, graphing, and counting as she organizes Tony's merchandise into a picture graph and counts the items to see how many of each type he has. Help Susie organize the inventory at her ski shop in this kindergarten math worksheet. 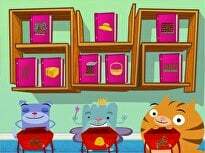 Your child will practice sorting, graphing, and counting. All these beach toys need to be organized! Is your child up to the task? She'll get to color while she counts and sorts the different items in the picture. 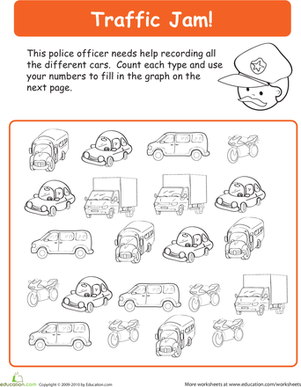 Help the police officer record the cars in the traffic jam in this kindergarten math worksheet. Your child will practice sorting, graphing, and counting. This beach is a mess! 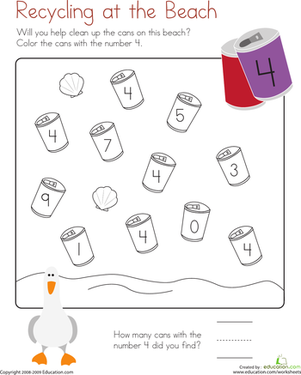 For this kindergarten math worksheet, kids help clean up the beach by counting and coloring the cans with the number 4. It's a beach themed addition party, and your kindergartener is invited! 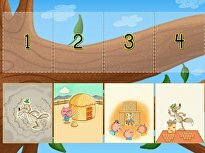 She'll practice single digit addition with fun and familiar beach items. This counting worksheet also involves coloring! Give your child some practice counting and sorting these party favors as she colors them. Your child will help re-organize them, and practice her counting and sorting skills. Throw counting practive into reverse with this counting-backwards worksheet. Your child can play her own World Cup, and practice skip counting at the same time!